Richlyn Marketing has rebranded as Richlynn Group, and has announced three new staff members. Business partners Kate Richardson and Lynn Tinsey have hired Olivia Baker and Lane Latimer as account managers and Shane Stewart as a digital marketing specialist. The expansion provides a stronger focus on social media, playlist promotion, and artist management. As part of the rebranding, Richlynn Group is proud to announce their first management client, guitarist/songwriter Paul Childers. “We have been steadily growing over the last 11 years and feel that the time is right to announce our rebranding, which reflects our work beyond marketing and PR,” said Tinsey. Richlynn Group’s staff also includes: Nicole Cochran, publicist; Cat Denton, account director; and Craig Shelburne, vice president. Founded in 2007, the firm will continue to offer publicity and public relations services for its roster. Rock and Roll Hall of Fame member John Oates has been part of the firm’s roster since 2012. 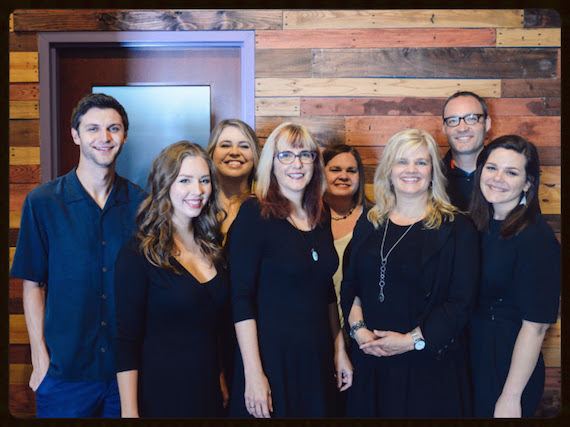 Richlynn Group also represents musicians such as The Doobie Brothers, David Starr, Stranger Friends, Button, Lara Johnston and Paul Childers. Other music-related clients include songwriter-author Steve Dorff, Ear Trumpet Labs microphones, the Folk Music Hall of Fame, the Don Gibson American Music Foundation, and Quarto Valley Records. Personalities represented by Richlynn Group include Nashville financial planner/radio host David Adams, best-selling author Sharon Draper, and author Rhonda Gayle Nelson (A Different Life). Richlynn Group staff may be reached by email using first name followed by “at” richlynngroup.com.